This tubeless rim-strip makes tubeless conversions easy and quick. Unlike its butyl predecessors(from other brands), Caffélatex Strip is very light, puncture-proof and transparent. Made using a proprietary polymer blend, it is available in nine widths and two different wheel diameters each (26”/27,5” and 29”). 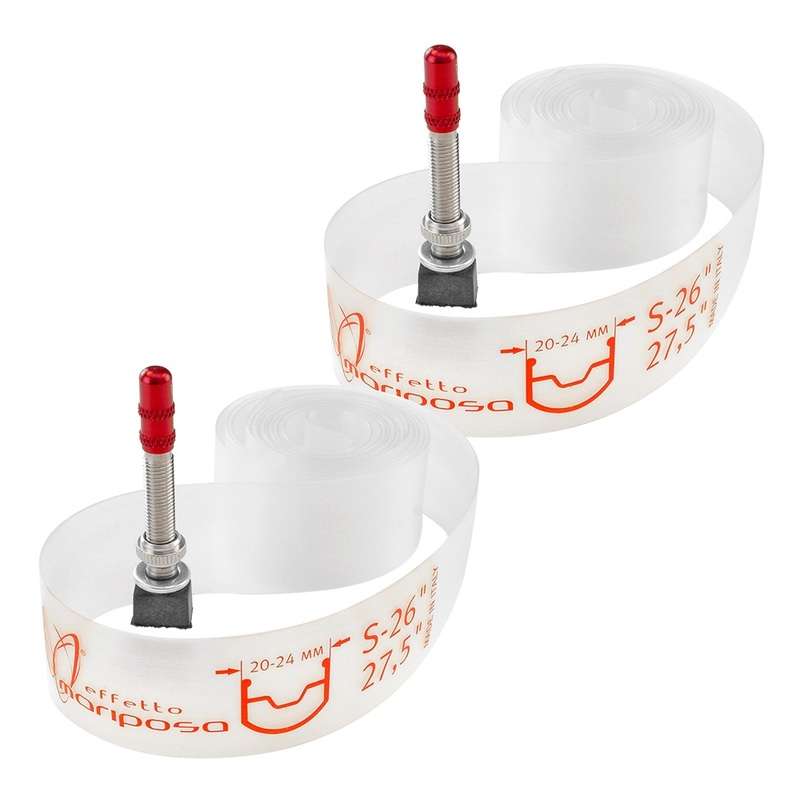 For some applications, the tape is great and it will always be lighter than a strip (8 g against 29 g per wheel... a butyl strip is around 65g). However, the tape takes time and some care/experience to be installed properly. There are then some applications where the tape simply won't work. i.e. the new cut-out rims for the new “+” and FAT size rims. Sold as kits containing two rim strips and two 40 mm tubeless valves (2 wheels per kit), Each kit contains two rim strips complete with tubeless valves. Mounting instructions are shown on the back of the header card. Used these to replace the aging brittle tubeless strips in my wheel. They are a lot lighter and seem to be giving a better seal.